Starting a wedding registry can feel overwhelming at first, especially if you’re stressed out with other wedding planning to-dos. But don’t let the stress of wedding planning ruin the fun and excitement of building your wedding registry! To give you an inside look at the whole wedding registry process, we’ve partnered with Bed Bath & Beyond, the go-to place for building your registry. From Bed Bath & Beyond’s in-store appointments with registry expert consultants to their extensive product line up, we’re pretty psyched about what Bed Bath & Beyond has to offer newly engaged couples! My husband, Phil, and I joined in the fun at our local Bed Bath & Beyond to get a behind-the-scenes look at what registering with Bed Bath & Beyond is like from start to finish! We started our registry journey with an in-store appointment! First of all, I have to say that I was a little hesitant about the in-store appointment. I was sure that I could find everything I needed online, and that an in-store appointment wasn’t necessary. So you might say I was surprised when I realized just how valuable (and fun!) registering in-store can be. Feeling the products and seeing them in-person really helped us to narrow down our final registry selection. Plus, using the scanner is as fun as it looks! Another giant plus to the in-store appointment was also a surprise to us! Our registry consultant guided us through the store and highlighted different products that we may or may not need from each department. On top of showing us what all the store has to offer, our consultant was able to tell us how much of a certain product we might need for our small family of two. For example, I had no idea that we needed so many dishes. When Phil and I got married in 2015, we registered for 6 sets of dishes, which, come to find out, isn’t enough for hosting dinner parties or family events! Our Bed Bath & Beyond consultant’s insight to the whole registry process was invaluable. We might have had a little too much fun at our appointment! Another reason why I believe Bed Bath & Beyond is the #1 place to register has to do with their diverse product line up. They have everything from home decor, to the best in kitchenware, to all of the fun stuff like massage chairs and travel necessities, and I haven’t even gotten to all of the products they offer online! Bed Bath & Beyond’s online registry allows you to access thousands of products that aren’t available in-store. You can also schedule your in-store registry appointment online, which is just one more way Bed Bath & Beyond makes the whole registering process easy and stress-free! To make registering even more fun, Bed Bath & Beyond hosts Rock Your Registry events. Learn about registering in a relaxed setting and treat yourself to food and drinks as you mingle with other engaged couples in your area (hey, new friends!). To RSVP for an upcoming Rock Your Registry event, head this way! Who’s ready to check out some of our favorite wedding registry items from Bed Bath & Beyond?! These 20 wedding registry essentials are more than enough to get you started on your own Bed Bath & Beyond registry journey! A Few Other Products That I’m Recommending! You can view all of our registry picks on our Bed Bath & Beyond stylemaker page! Phil and I thoroughly enjoyed creating our registry with Bed Bath & Beyond, and we know that you will, too! Click this link to get started building your own Bed Bath & Beyond registry. 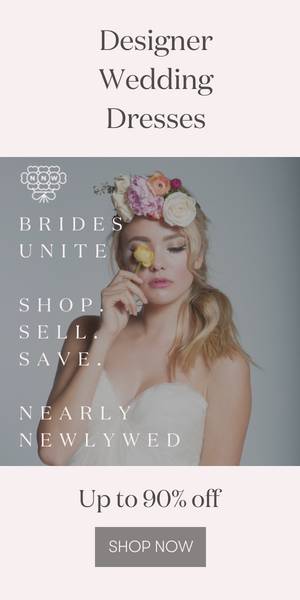 I’m excited to see what you guys register for, so tag us on Instagram (@junebugweddings and @bedbathandbeyond) to share your favorite products!